In between the release of his first solo album and the long awaited equally successful second album ‘The Boy Who Didn’t Fall’ (released in 2009), JJ’s desire to write a musical began to take shape in 2006. This was where he began to sow the early creative musical seeds and formulate ideas for the show ‘Dancing Shoes’, based upon the life of footballer George Best. After his dream was realised “Dancing Shoes” played to over 70,000 people and is to return to the theatre again in August 2015. He has also written the songs for the musical play ‘The Titanic Boys’ which had its debut in August 2012 at Belfast’s Grand Opera House. 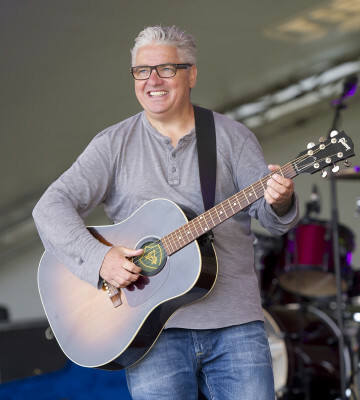 JJ is currently living in Scotland and has recorded his third album ‘Slocomotion’, which is out now, he is in the final stages of writing for album number four, due for release in early 2016. He has also just finished compiling a newly released songbook of his works as a solo artist.